Island Sports Physical Therapy has serviced Long Island since 1985 and offers a multitude of services to help treat your pain. One of the services offered is facial nerve problems. 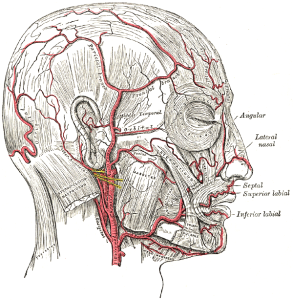 There are many different facial nerve conditions that cause facial pain that we can treats. There are many reasons why someone would suffer from dull or acute facial pain. Some of the reasons might be trigeminal neuralgia, multiple sclerosis, tumors, bell’s palsy, or other underlying conditions. All of these conditions can limit the function of your facial nerves causing facial pain. Going and receiving treatment once you notice facial pain in important because damaged facial nerves can affect your facial movements. Physical Therapy can help you to regain facial muscle movement. From your physical therapist you should expect an assessment of your facial pain to make sure they fully understand your symptoms and conditions. Next, they will start to discuss with you various treatment options and exercises that you can do daily at home to continue improving. Some of the exercises that you may do together are stretching, massages, and relearning of the basic facial movements. Not all exercises are acceptable for every condition so you must consult your PT before adding to any physical regimen. With 6 convenient locations, Island Sports Physical Therapy and treats many conditions including facial nerve pain.